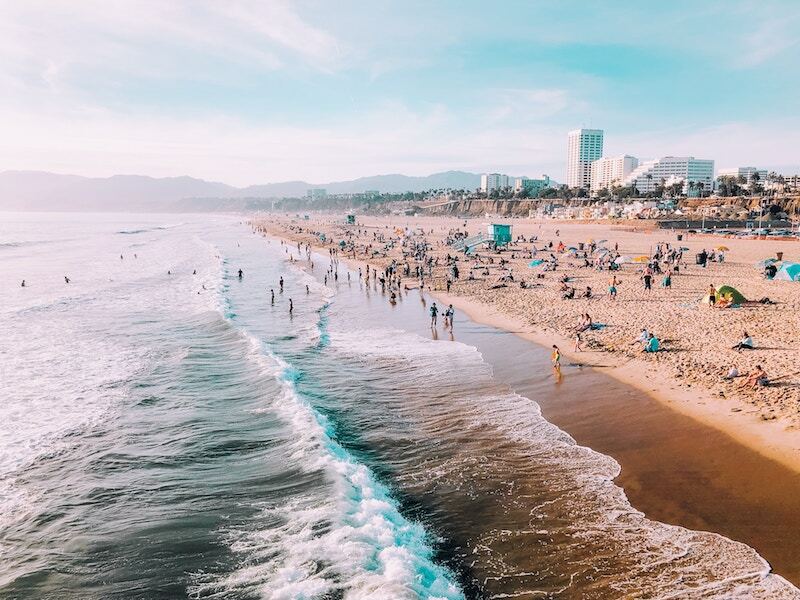 Working for a top digital marketing agency, especially somewhere as hip as Southern California is appealing to entry-level job-seekers, as well as advanced, experienced veterans. The 14 firms on this list are some of the best companies to work for in San Diego, all of them with a successful track record, inspiring portfolios and an impressive client list. Some of these companies are traditional and buttoned-up, while others have surfboards on the walls, company beer pong tournaments, and office dogs. Some roles are very narrow and specific, while others encourage you to learn, learn, learn, even if that means diving into areas outside your job description. And while we’ll mostly talk about San Diego companies hiring for entry level digital marketing jobs, most of these agencies have more advanced positions to fill too. Recent college graduates, take note. Examine all the roles available at each company. This will give you valuable insight into how your career might grow there. In this article, we’re going to show you 14 top marketing agencies hiring right now in San Diego. These are some of the best companies to work for in San Diego if you like fun, creativity, and hard work. We’ll give you an overview of what they do there and we’ll mention some of the most interesting jobs they’re hiring for at the moment. We’ll also provide links so that you can take the next step. Founded in 2016, Jumper Media helps small businesses tell their stories on social media. Whether we’re building SaaS tools or creative campaigns, we do it with energy, curiosity, and a love for the people we meet along the way. Currently, we are looking for Social Media Managers, Account Executives, Paid Media Managers, and Customer Success Managers to join our amazing team in San Diego. Implement creative ways to improve our customer relationships, tailor and share social media marketing strategy suggestions. 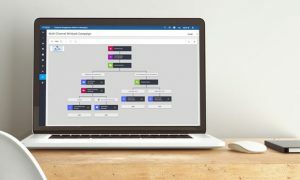 Listen to customers to understand their unique business challenges, and work closely with the product team to brainstorm and prioritize feature requests. Provide strategic advice to help our customers get the best experience from their social media investment. If you’re a great teammate and want to make a huge impact at an exciting company we’d love to talk! See our current openings here. The healthcare and science industries are big in San Diego, and these are exactly the niches Audacity specializes in. 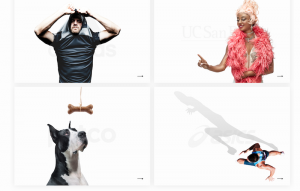 The marketing agency creates brands and campaigns that connect emotionally to audience members, and their client list includes 23andMe, Kodak, and Samsung. Founded in 2002, Audacity is still small with just 11 to 50 employees (according to LinkedIn). Audacity is currently looking for a Scientific Brand Strategy Manager to help meet branding and marketing goals for clients by working as a liaison between the client and the marketing team. They’re also looking for an Art Director with a minimum of two years agency experience who will juggle multiple creative projects and collaborate with creative teams. 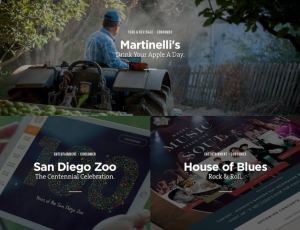 See all of their creative jobs in San Diego openings through their LinkedIn profile. The BASIC marketing agency in San Diego does a lot of work in the video game industry, and their client roster also includes Hyundai, MTV, and Pepsi. Their specialties include branding, design, and strategy. The BASIC team helps brands succeed online while creating memorable experiences for customers. They have around 350 employees according to LinkedIn, and they encourage their employees to have fun and to take risks without waiting for permission. They have a unique culture manual that lays out what to expect from working at BASIC. They have job openings in the Bay Area and San Diego, as well as remote opportunities. Right now, they’re hiring for several positions in the creative realm in San Diego, including a Designer with at least two years experience in lifestyle and technology design, digital experience content and e-commerce. View their entry-level jobs in Southern California here. 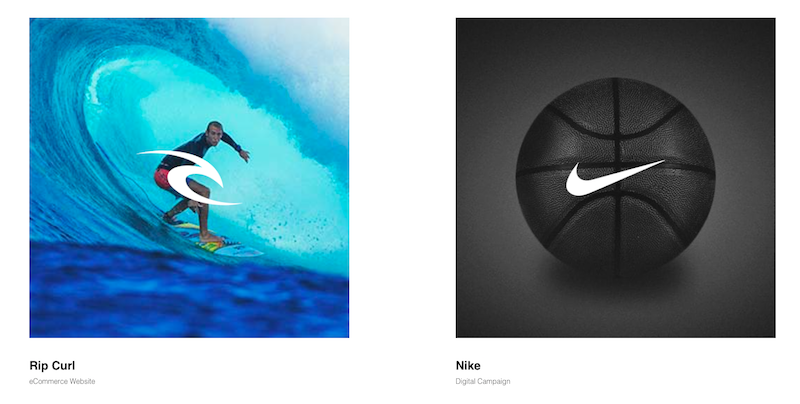 Cuker is a marketing agency in Solana Beach (half an hour north from Downtown San Diego) with an emphasis on action sports brands, like Nike, Oakley, and Quiksilver. They were founded in 2013, and today their digital marketing is design-focused – they excel at creating custom digital platforms and integrated marketing campaigns. Their company is small with between 11 and 50 employees, according to Crunchbase. They’re looking to fill several positions at the moment, including web developers, social media managers, paid media managers, and more. Cuker also has a marketing internship open for Bachelor’s degree holders who want to learn the ropes of marketing in a fast-paced agency. Explore some of the best jobs in San Diego here. Digital Operative is a marketing agency in San Diego that focuses on apps, e-commerce, strategy, and interactive marketing. They work across a variety of industries, including consumer electronics and packaged goods; fashion and beauty; home and furniture; nonprofits; and outdoor and active lifestyle. 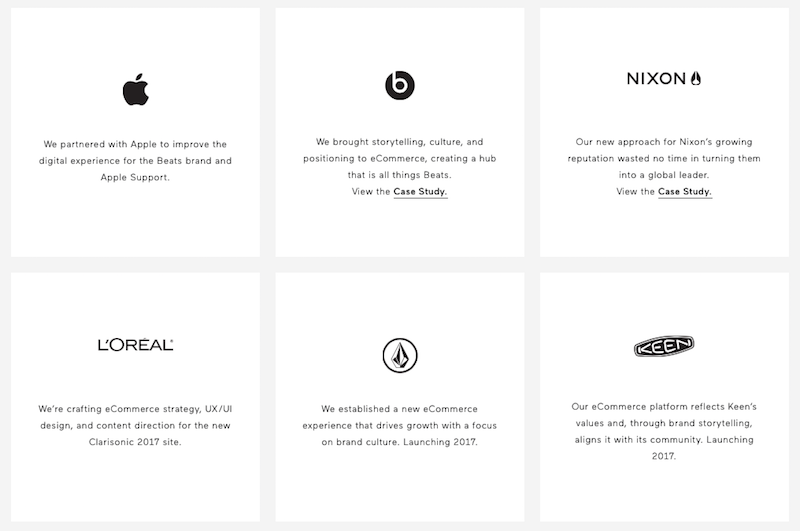 Their portfolio has a combination of big names and lesser-known brands, including iVillage, Otter Box and Stussy. They’ve been around since October 2008, and they have between 11 and 50 employees, according to Crunchbase. There are a lot of perks to working here, like bringing your dog to the office, Bagel Fridays and monthly guest speakers. Right now, they have several positions open. Their Shopify Developer should have two years experience with Shopify Plus in order to create scalable websites based on Shopify themes. They’re also hiring an Amazon Marketplace Manager with three years experience who will manage and market for Digital Operative clients who use Amazon. See their marketing jobs in San Diego here. I.d.e.a., a digital marketing firm in San Diego, is certified as a B Corporation, which means they’re not just interested in what’s great for business, but also what’s great for the environment and the world. 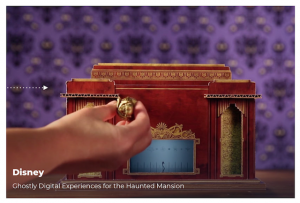 They always strive for both powerful and responsible marketing, with a client list that includes Caesars Entertainment and Progressive. They have a few entry-level jobs in Southern California open right now. Their Director of Strategic Planning will need a Bachelor’s degree and a minimum of seven years experience, and their main role will be to lead strategic, integrated marketing campaigns. They also have a couple of freelance positions, including Digital Media Manager and Digital Media Planner. Browse their marketing jobs in San Diego here. Internet Marketing Inc. in Scripps Ranch offers the full spectrum of digital marketing services, which includes content marketing, CRO, data science, design, development, display, email, PPC, SEO, and social media. CMO and Navy SEAL combat veteran Brent Gleeson is a contributor to industry-leading publications like Inc. and Forbes, talking about how to be a successful leader. Their clients include AMC, Hilton Resorts and Mastercard. They’ve been around since their founding in May 2006, and they have 11 to 50 employees, according to Crunchbase. Currently, they’re looking for people to fill designer, developer and strategist roles. The Front End Developer and Paid Media Strategist roles are entry-level roles, and their Junior Visual Designer just needs to have an art-related or graphic design degree, plus knowledge of tools like the Adobe Creative Suite. Browse current and entry level marketing jobs here. 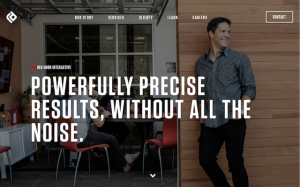 Mapp is a digital marketing agency in San Diego that puts customer engagement front-and-center. 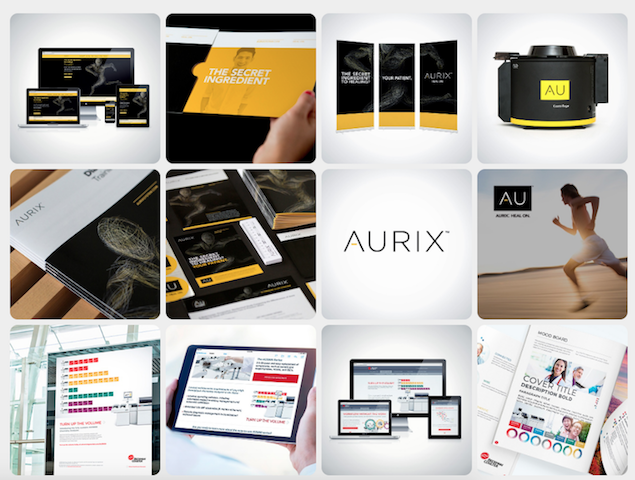 Many of their solutions are designed around understanding a specific client’s audience so that real, long-lasting relationships can be created. Their multi-channel digital marketing services include campaign management, creative services, and lead generation. Mapp is one of the larger agencies on this list. They have over 450 employees spread across 12 countries. Their only United States office is based here, in San Diego. Right now, they’re looking for a temporary Brand Liaison in San Diego, and applicants should have a Bachelor’s degree and a minimum of four years experience. They’re also looking for a Project Manager with three years experience and a Junior Account Executive who will initiate and close new business. 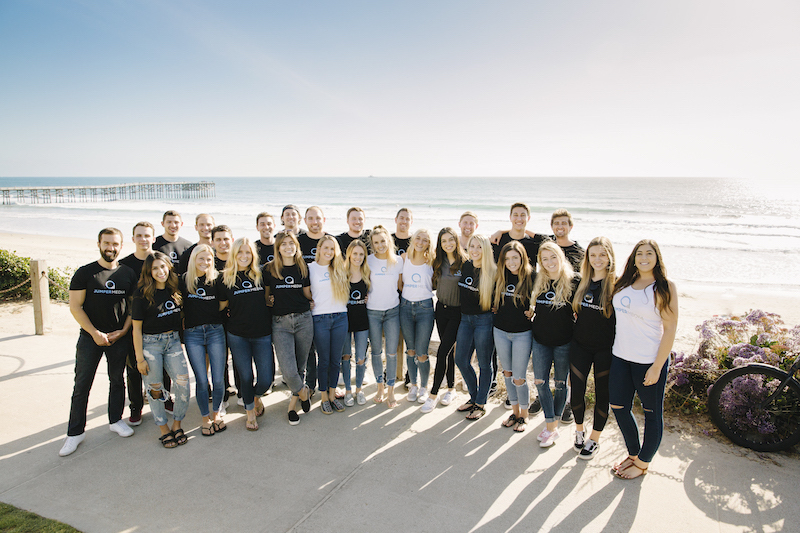 Learn more about being part of the Mapp team here and see their current marketing jobs in San Diego here. Mindgruve, founded in 2001 and located in Downtown San Diego, is known for being fun, quirky and vibrant. 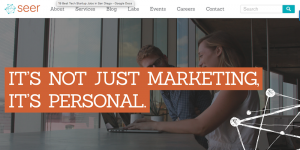 Though they’re one of many tech companies in San Diego that’s a full-service digital marketing agency, their true specialties lie in development, strategy, and UX for technologically-advanced platforms. Clients include FedEx, Groupon, and PGA Tour. They currently have between 51 and 100 employees, according to Crunchbase. They have a lot of job openings right now and several of them only require between one and three years of experience. These roles include Account Coordinator, Media Planner, Performance Media Strategist, and SEO Specialist. See more open positions and creative jobs in San Diego here. MJD Interactive in Pacific Beach, just three blocks from the ocean, combines creativity with technology. Their campaigns have included wearable tech for Oakley’s snowboarding goggles and the relaunch of Vail Resorts’ Epic Life magazine. Other notable clients include Disney, Red Bull, and Sega. See more of the best jobs in San Diego here. They’re hiring for a handful of positions right now, including a Web Developer with two years experience and a Digital Analyst with three years experience. They also have a couple of options if you don’t see a job on their list you’re interested in: Domo-Certified consultants and an application to be part of their Virtual Bench, meaning you have expertise that they may need from time to time. View their openings for marketing jobs in San Diego here. Seer had humble beginnings in 2002, run by just one person, founder Wil Reynolds. Today, it’s grown to have over 100 employees in Philadelphia and San Diego. Seer works with Fortune 500 companies and big names like Crayola, LinkedIn ad Wine Enthusiast on analytics, SEO and PPC. Seer has between 51 and 200 employees, according to LinkedIn, and they have several positions in San Diego open right now in their analytics, client services, PPC and SEO departments. They also have a digital marketing internship, where you’ll spend 20 hours of in-office time each week learning about all sorts of client deliverables. 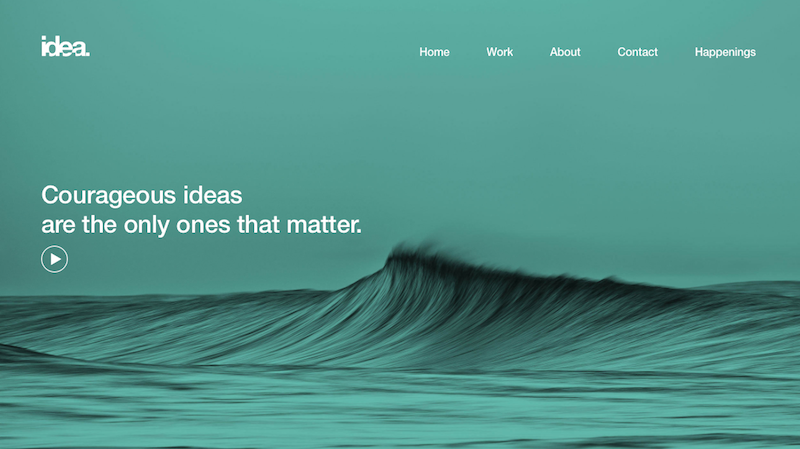 Learn about working for Seer here and see their creative jobs in San Diego here. Siege Media is a fast-growing content marketing and SEO agency in the Gaslamp Quarter of Downtown San Diego. 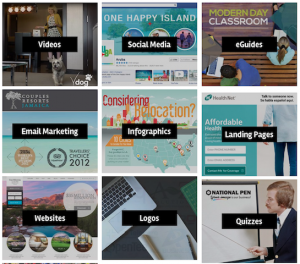 Their high-profile clients include Airbnb, Shutterfly, and TripAdvisor. Their founder, Ross Hudgens, has a Twitter account that doles out bite-sized marketing lessons. According to Crunchbase, they were founded in 2012 and currently have between 11 and 50 employees. Employees often attend their Creative Mornings meetups, which feature inspiring guests. Right now, they have a few jobs open in San Diego. Their Junior Content Marketing Specialist role includes writing web copy for different verticals and ideation to pitch to other content creators at Siege. They’re also looking for a Content Marketing Specialist who will keep their finger on the pulse of what’s happening in the industry. Learn about working for Siege and their current entry level marketing jobs here. There are a lot of digital marketing agencies in San Diego – and on this list – but Vitro is a bit different. Instead of focusing on Internet marketing, their main service is TV advertising for big brands like Petco, Red Robin, and Stella Artois. Vitro’s been around for a long time, too – they were founded in 1992 – and they currently have between 51 and 200 employees, according to LinkedIn. Vitro could be a great option for job seekers who want more experience in traditional advertising. All of their current job openings require quite a bit of experience – they’re looking for an Account Director, a UI/UK Designer and an Editor. See their marketing jobs in San Diego here. Did we miss any of the best companies to work for in San Diego? What about the top advertising agencies in San Diego? The best employers in San Diego? Whatever we missed, tell us in the comments! We are Jumper Media. We help 3000+ businesses tell their stories on Instagram and Facebook. Nice to meet you. Did we mention that WE ARE HIRING in San Diego? If you’re a great teammate and want to make a huge impact at an exciting company we’d love to talk!